This week, Supergirl struggles to contend with Catmus's plans to deport the kidnapped aliens and Alex goes on her own mission to find her father. 'Exodus' delivers a relevant and compelling story as Catmus's diabolical mission to capture every alien and deport them from Earth explores the need for heroes like the Danvers sisters. Immediately, there is a tense atmosphere as the DEO follows the abductions as they happen, propelling Kara to write her own news story to warn the alien community. At this point, Kara's career as a journalist doesn't seem to fit in with her role as Supergirl, but after following her own instincts and getting fired, it may be a good opportunity for Kara to write her own stories away from Catco. 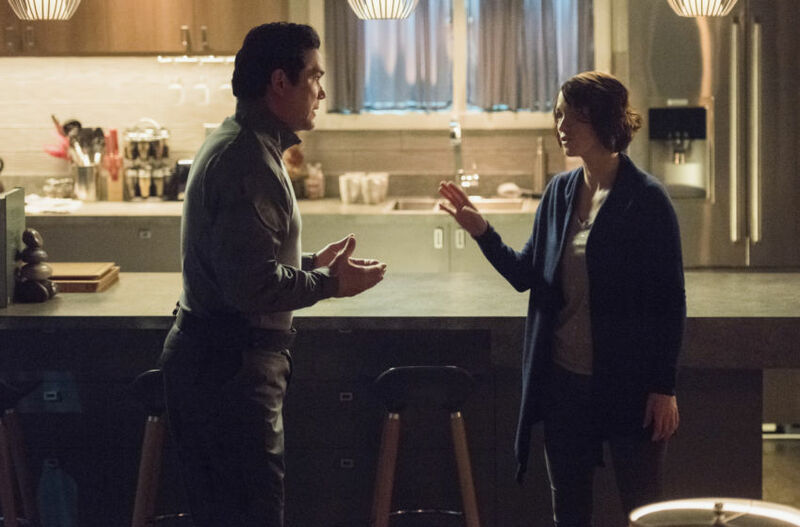 This episode was definitely Alex focused as her emotional turmoil over Jeremiah caused her to go on her own mission to find him, and with the help of Maggie, she does, resulting in an emotional and complicated confrontation, beautifully played by Chyler Leigh. The emotional strain of her father's betrayal has definitely given her character lots of fantastic scenes where hope and loss have conflicted. Her rage against Catmus was strongly felt and the scenes with Alex/Maggie were both funny, sweet and empowering. Alex's suspension at the DEO added to her faded logic but gave her the means to prove how resilient, strong and courageous she is that she would risk her own life to find her father and the alien community. One of the most emotional moments was when Supergirl had to stop the spaceship, containing Alex and the aliens, from entering into space. The silent exchange between the Danvers sisters, and the Supergirl theme, blended to form a heartwrenching scene of self-doubt and support. 'Exodus' achieved some beautifully emotional scenes with Alex and her father. Her solo mission of self-discovery, bravery and love for her family showcased what a vivid and complex character she is.